Derrick Kosinski & Scott Yager are joined by Nehemiah Clark. Challenge champion Nehemiah Clark (@NehemiahMTV) drops by the show to tell Derrick (@DerrickMTV) and Scott (@SHOTOFYAGER) what he's been up to since his final Challenge season, Rivals. He talks about how his faith was portrayed on the show, what the story was with him and Beth, who he'd want to play with today, whether he's looking to come back and what was so special about Real World: Austin. 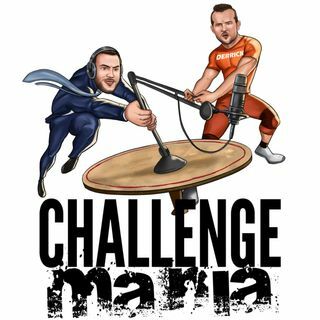 OnYourOwn.Org/ChallengeMania is a great please for financial guidance! "Nedermiah" as Coral called him lol so glad to hear from him and he is a Challenge Champion everyone! So happy to hear this OG interview the Old School is the BEST School! !